I was first introduced to NCVAA in 2012 in Houston and was hooked from day one. It was a heartwarming surprise to be surrounded by so many lawyers with my same story and/or with my Vietnamese heritage. Growing up, I was not proud to walk with my head held high as a Vietnamese American. When we came over in 1975 as refugees, nobody talked about the Vietnam War. There was a sense of shame and burden being Vietnamese in a foreign land that I must now call my home country. I did my very best to blend in with American society. I did everything to be American and nothing to be Vietnamese. I had not realized I could be proud of my Vietnamese heritage until my involvement with NCVAA. Now I stand proudly as a Vietnamese-American attorney. 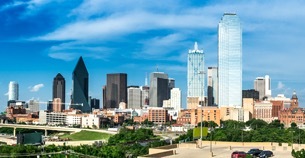 Our 13th annual conference is on October 4-5, 2019 in Dallas, Texas. Our conference kicks off with a Welcome Reception Friday night. On Saturday, we have a full-day CLE program (usually 5 or 6 credits), followed by our Dinner Gala Saturday night. Our conference team promises to provide an exciting and memorable boot-scootin’, bull-riding, Cowboy-chic good time Saturday night. I encourage you to join us in Dallas to experience the magic that happens when we all come together. I hope to see and talk to you there!